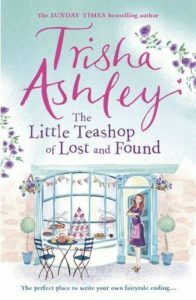 Fans of Trisha Ashley wax lyrical about her storytelling, elegant writing style and original plots. Katie Fforde calls her “one of the best writers around” while Sophie Kinsella praises her “down-to-earth humour”. All of these qualities and more feature in Trisha’s latest novel, The Little Teashop of Lost and Found, which is touching and funny and in parts, very sad. Best of all, it features three stories in one, all carefully interwoven into the book in inimitable Trisha Ashley style. The main narrative follows the fortunes of Alice Rose, a foundling discovered on the wild Yorkshire moors above Haworth as a tiny baby. Alice doesn’t have much luck during her youth and early adulthood. After her early abandonment she’s adopted by a father she adores and a mother she loathes (an archetypal wicked stepmother type who insists on being called Nessa rather than Mummy and takes every opportunity to tell Alice she never wanted her in the first place). As an adult Alice loses her fiancé in a climbing accident and buys a teashop in Haworth that turns out to be a complete dive. Two other storylines are entwined with the main story (wittily dubbed Alice in Bronteland by one reviewer). One is the first-person diary of a character who clearly knows a lot about Alice’s abandonment while the other is a series of fairytale-like excerpts from Alice’s own writing. In the hands of a less experienced writer these three strands might have been way too confusing for the reader. But Trisha Ashley is more than up to the job and the idea works a treat. The gentle humour of the teashop scenes, the stunning descriptions of the moors (you almost except Heathcliff to appear through the mist) and the mystery of Alice’s true identity add up to sure-fire winner. 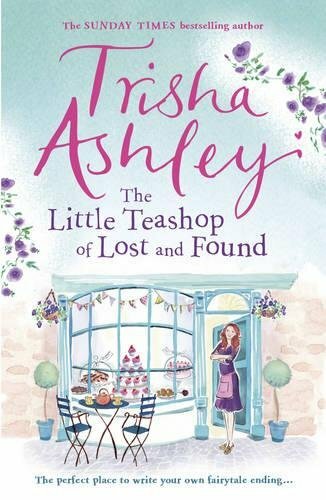 Trisha Ashley’s novels have a tendency to roar up the bestseller lists and mark my words, The Little Teashop of Lost and Found is bound to follow suit.